Add a distinctive level of opulence to your home or business with timeless and long-lasting Hardwood Flooring. These traditional yet classy floors provide an impressive upgrade for any space. In fact, few flooring types are as elegant and stunning as solid hardwood flooring. Choose the wood specious you want and the style, and we’ll even install it for you. Sleek, durable, and attention-grabbing. You simply can’t beat the benefits of solid hardwood flooring. Hardwood is available in so many wood species too, such as birch, cherry, oak, walnut, and exotic wood. Improve the livability and luxury of your home with solid hardwood. We offer some of the best hardwood prices in the area. In fact, if you find a lower price on hardwood flooring (same style and brand) within 30 days of your purchase, we’ll refund the difference in price. It’s easy to install your new floors when you depend on our hardwood flooring installation professionals. The exceptional service doesn’t stop when you purchase your new floors. From design consultations and product selection to complete hardwood floor installation services, we are with you all the way. We ensure the finished project exceeds your satisfaction. We guarantee it! You’re ultimate confidence is our top priority. Thus, our Ultimate Confidence Guarantee! If you ever encounter an installation-related issue with your hardwood floor, we repair it for free. The promise applies to your floor for life! At the same time, if you are not satisfied with your new 4-Star or 5-Star floor within 30 days of installation, you can choose a similar product free of charge. When you shop at our flooring store for hardwood floors, you can rest assured that you’ll receive quality products and the royal treatment every time. Contact us to learn more about our excellent selection of hardwood flooring. 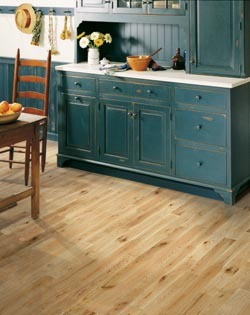 We offer 36 months financing on hardwood floors. We proudly serve customers throughout St. Paul, Bonnyville, Fork Lake, Lafond, and Elk Point, Alberta.